Losing weight is one of those tasks we tend to postpone over and over again. There comes a moment when we realize it’s almost too late and we need to do something about it. That’s when people search for “quick ways to lose weight”. It’s not the best idea, but when you’re short of time, there is not much you can do. We’re being lazy about losing weight and then we pay the price, self-proclaimed fitness gurus and product marketers then come out to offer help – in the form of supplements, pills, methods and diets supposed to burns many pounds of fat within a short time. Not all of these are good. Some are downright dangerous. 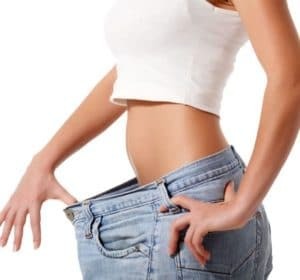 In this article you will find out which are the safest ways to lose weight quickly and what you can do to protect your health and well-being. To lose weight successfully, you need to identify what’s making you fat and act on that particular aspect. If it’s overeating, take adequate measures: limit your food portions, have fewer meals, replace unhealthy foods you crave for with their healthy, natural alternatives (cakes with fruit for example). If eating is a response to the stress in your life, then work on your mood. Avoid stress or learn coping strategies, reward yourself with relaxation moments instead of food and take supplements that help you adapt to stressful situations. If your weight problem is caused by hormones, have these checked and lose weight only under the strict supervision of a physician. You should never attempt to fix hormones all by yourself. If the cause is a sedentary lifestyle, then start exercising, standing instead of sitting, jogging instead of walking and so on. A slow metabolism can be fixed by eating breakfast and having several small meals throughout the day, as well as by consuming foods, drinks and supplements that increase the metabolic rate. Here comes the first and most important piece of advice for your rapid weight loss diet: start eating plenty of vegetables, especially the types with a high water content. These fill your stomach quickly, staving off hunger and delivering very few calories. The best way to eat these is either fresh or boiled/steamed. The foods you must not touch are grains, potatoes and sweets. You may prolong this stage for up to two weeks. Then, gradually re-introduce carbohydrates. You have to be careful about this and always limit your portions, because carbs are addictive for a large number of people. Resist the urge to have carbs every day. It’s an adjustment phase which is essential – it’s when your body learns it can use up the stored fat in order to produce its energy. What and how much you eat are essential, but also when you eat. People who want to slim down quickly imagine that the best way is to simply avoid meals. This is untrue – skipping meals will get one to store more fat with the next ones, as it prompts the body to slow down the metabolism and deal appropriately with the hunger. It’s the sure way to overeating later and to fat storing. Therefore, have a small quantity of food spread evenly throughout the day. Begin early in the morning, to kick-start your metabolic processes. Eat little, but often. This way, you’ll speed up digestion. Your last meal or snack should not be too late in the evening; make sure to finish eating several hours before going to bed. How to have enough energy to exercise ? Calorie deprivation can easily make one sluggish and exhausted. What can you do in order to be able to exercise and still obey to your diet? The key is in the nutrients you get. You should not aim for zero carbs – have a few of these once a day or allow you to ‘cheat’ for one day a week. Also, pay attention to the fats. You need the good kind of fats, which won’t increase your adipose layer but help you function properly. Coconut oil, nuts and seeds, avocado, tuna fish are all good examples of foods with healthy fats; no wonder these always make it on the table of fitness enthusiasts and bodybuilders. Besides these, you should also opt for fresh vegetables and fruits. You may use a multivitamin and mineral supplement, along with beverages to stimulate you. The best in this regard are green and black tea. Keep in mind that proper hydration will also keep your energy up. Anaerobic workouts are very helpful in a weight loss plan. Strength training will do you good, as well as interval training modes. Anaerobic workouts are known to stimulate protein synthesis, with positive effects on the muscular mass. The more muscle you have, the better you become at burning fats naturally, because muscle fibers require plenty of energy for maintenance. Anaerobic exercise by itself shifts the balance in favor of fat burning. It even prolongs this effect and thus you will enjoy post-exercise fat burning. This is a non-negligible effect when you want to lose weight rapidly. Train in intervals, in short but intense bursts if you want to trigger those internal burns and slim down. Increase the cardio, too. This form of exercise, although lighter and easier to do, is meant to boost your heart and breathing rhythm. This triggers the natural fat burning processes – your body begins to use stored fat to generate energy for the effort. Do cardio daily, whether it’s running, cycling, jogging or dancing, for about 30 minutes. Try to fit such bouts of exercise whenever you can. In nutritional science, ‘sugar’ doesn’t only refer to the white, crystallized type we use in sweets. Many carbohydrates become sugars after digestion. The more of it they produce, the higher the food is on the glycemic index. This makes the body produce and release more insulin. As this happens, you begin to eat more. The insulin’s role is to regulate blood glucose and to take it where it’s needed. Thus, sugar within the body is either used up (burned to produce energy) or stored as fat deposits. Eating too many carbohydrate-rich foods can send this mechanism into overdrive. Insulin insensitivity may develop with time, which leads to a fattening process. The only way to fix it is by eating less of such foods. When the insulin levels are down, it’s easier to manage and burn fat. When you begin a diet like this, you can lose as much as 10 pounds of fat and water weight in the first week alone. It is very effective. When done correctly, it helps you avoid feeling hungry. Here are some of the recommended low-carb vegetables you can use: cauliflower, broccoli, spinach, cucumber, lettuce, celery, cabbage and kale. The first on the list also have impressive amounts of easily digested protein, so they will serve two goals. Your favorite pastimes or hobbies can harm your health. These can certainly have a negative impact on your weight. If you’re the type who’s watching TV daily or going to the movies, picking some tasty snacks and beverages for the occasion, you need to let go of this hobby for a while. Avoid it for as long as it takes to lose the excessive weight. You don’t have to say No to every pleasure though. Become aware of it and remove or replace the bad habits, such as snacking. The same goes for dining out, for cooking with friends or simply socializing. It’s so easy to overeat during these activities – even when you’re only nibbling. Time goes by fast and you’re not exactly aware of what you’re doing or how much you’re actually eating. You think you’re only grabbing a few peanuts for example, but instead you’ve ingested 300-400 calories. Abstain from any social event or pastime that can get you to eat or drink. Slimming down quickly is a matter of self control and effective planning. Once you know what you’re supposed to eat and expected to ditch, you must proceed to cleaning your pantry. If you fail to do this, you might be tempted to indulge in bad foods. Also, when you want to cook a meal, you might realize you have to use fattening ingredients instead of lighter and healthier ones. Change your habits completely, including shopping. Pay attention to what you purchase and bring into your pantry. There must be a place in your area where you can attend these trendy and popular classes. Zumba is a form of workout that gets one moving a lot and feeling really good about it. It’s a happiness booster but also an efficient form of cardio. If you do this at least twice a week, you can bust the unaesthetic fat and tone your musculature, too. You can lose 10 pounds in a month with zumba alone, if you’re committed. If the weather is bad, it doesn’t mean you should skip your workouts. This will never get you to lose weight rapidly. When you can’t go out jogging or cycling, perform your exercises indoors. In case the weather is too bad and you can’t make it to the gym, don’t rely on this facility alone. Have some weights for home use. You could also purchase fitness equipment for your home. An elliptical machine or a treadmill would be excellent. You must not break the routine. Slimming pills and shakes contain certain ingredients that boost your body’s temperature. This has an impact on the metabolic processes. The higher the temperature, the more fat you get to burn. Chillies are well known for their thermogenic effect. So is cinnamon. You can use these as spices in your dishes and even in your smoothies. Apart from such, there are other ‘miraculous’ ingredients that must be included, such as coconut oil and lemon juice. These are highly beneficial and praised in any weight loss program. Losing weight quickly can put you at great risk. In any case, no matter the diet chosen, you must not do this for a long period of time. Most rapid and radical slimming methods are highly restrictive, in terms of calories and nutrients. This can lead to deficiencies and numerous health issues that come with these. The first symptoms are weakness, dizziness, exhaustion even, slow brain and lack of focus. It can become hard to focus on your daily tasks and carry out your work. Some diets can leave you so drained you won’t be able to exercise. The best way to lose weight is to do it slowly. Give it plenty of time and aim to lose only one to two pounds of weight per week. Losing big amounts of fat rapidly also comes with serious esthetic concerns. You can have saggy, loose skin all over. People in such situation had to get help from plastic surgeons to remove all that skin in excess and tighten it accordingly. Always double-check any information you get whenever you research the topic of quick weight loss. Do not give into trends and fads, no matter what promises are made. After all, the only proven methods are the ones presented above: food, self-control, exercise. Keep in mind that slimming needs to be an effect of self-improvement, a result of your overall well-being. Work in that direction and the outcome might surprise you.